Being a pioneer in the use of Submersible Borewell Pumps for Firefighting, "PEW" now offers Centrifugal Back pull-out Endsuction pumps for use in places where Submersible pumps are not permitted / connot be used. 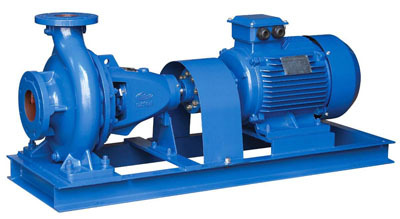 These pumps are non-selfpriming with axial suction port, radial discharge port and horizontal shaft. The back pull-out design enables removal of the motor, coupling, bearing bracket and impellar without disturbing the pump housing or pipework. Self vented, foot mounted, center suction volute casing & single stage, closed / semi open dynamically balanced non-clog impeller ensure unimpeded liquid flow. Supporting feet are cast integral with the casing along with suction and discharge nozzles. Flange drilling standards as per DIN 24255 / ISO 2858 or as per customer's requirement. 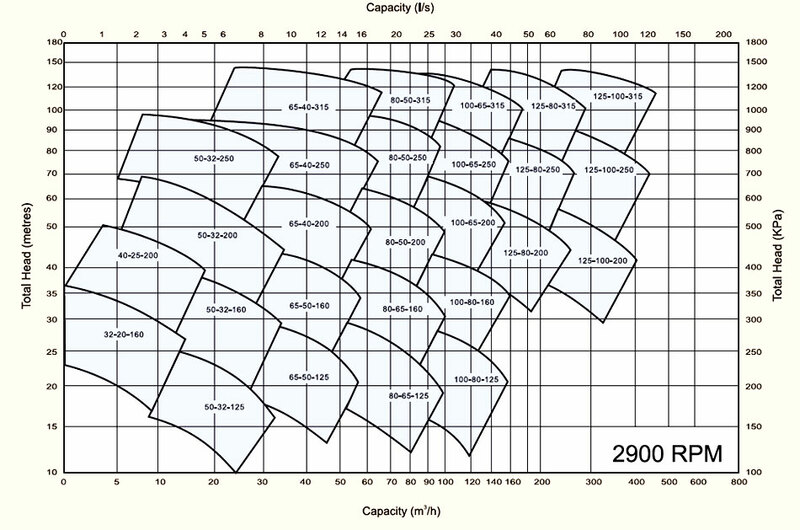 Designed for 16bar working pressure with optional casing for a working pressure of up to 20 bar. Heavy-duty, stiff solid shaft design with low L3/D4 ratio ensures less than 0.05 mm shaft deflection at the seal face in all operating conditions which extends seal life. Seal housing is constructed to accommodate different seal/gland designs, so as to meet heavy-duty requirements, if any. 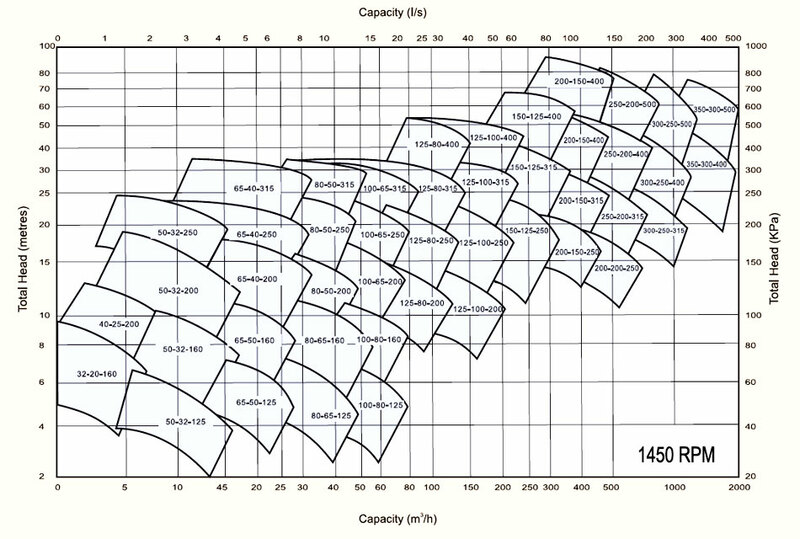 Impeller Any grade of Stainless Steel, cast or fabricated, Bronze, WCB, CF-8, CF-8M, Alloy 20, Cast Iron, etc. For pumping clear/turbid water / chemicals & volatile liquids. Air conditioning plants, power station, mine drainage, sprinkler systems for fire fighting, and booster service. Can be used for oils, brine, etc.